From clocks and cats to AI football managers and army 'snowflakes', PRWeek has picked its five top January campaigns. Vote below for your favourite. Help for Heroes projected a giant clock across the Tower of London on Blue Monday (21 February) to raise awareness of the four-year delay it takes armed forces veterans to seek help for mental health issues and PTSD. The aim is also to encourage those who suffer to seek help earlier. Time on the #StigmaClock – centrepiece of the 'Cut the Clock' campaign, created by McCann London and McCann Enterprise – is cut by the public's interaction, whether it be through donations, or retweets, Likes and shares on social media. The projection is live streamed on CutTheClock.com. How often is artificial intelligence used as part of a genuinely inventive and creative campaign? Not often enough, probably, but this refreshingly entertaining work from PR agency Cow did just that. An ‘AI football coach’ took charge of seventh-tier side Wingate & Finchley FC – giving instructions to real-life coaches on team selection and tactics, based on data about the players. All of this was part of a campaign for The Big Bang Fair, an event aimed at encouraging young people's interest in science, technology, engineering and maths subjects. The so-called ‘Snowflakes’ recruitment campaign, for the Ministry of Defence, was widely panned on social media when it was launched at the start of January, for offending the very people it hoped would join up. 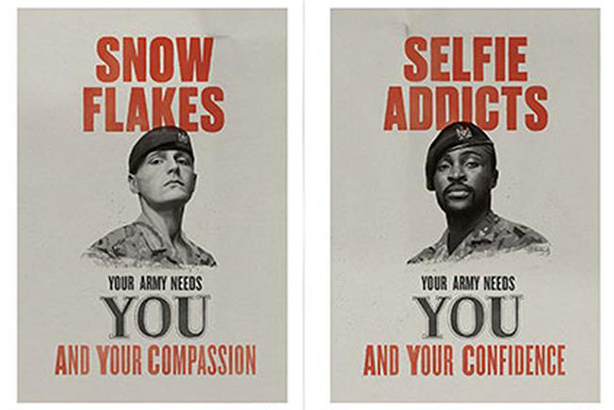 A series of executions in the style of the iconic Lord Kitchener posters featured slogans including: "Snowflakes – Your Army Needs You And Your Compassion". Other targets for the campaign included ‘binge gamers’, ‘selfie addicts’ and ‘Me, me, me, Millennials’. 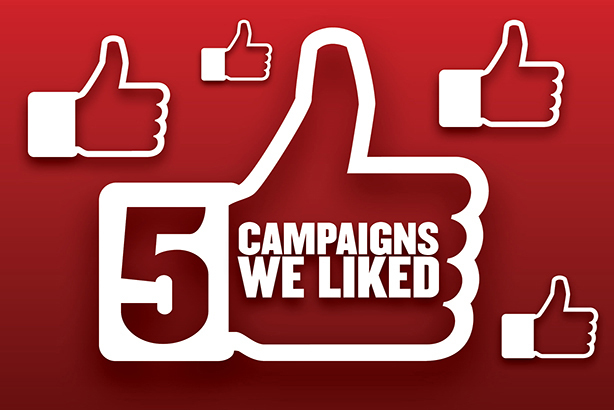 Creative for the campaign was handled by Karmarama. But the true measure of a campaign is its effectiveness and the MoD claimed that talkability was its true purpose all along. In an appearance before a Parliamentary select committee Lieutenant General Tyrone Urch said the campaign had served this aim by creating a controversy and starting a debate. He characterised those who did not like the posters as either "too old to join the army, have been in the army, are senior people in the army or retired from the army". Losing a family pet can be a traumatic experience, but what about losing the 'king of the jungle'? 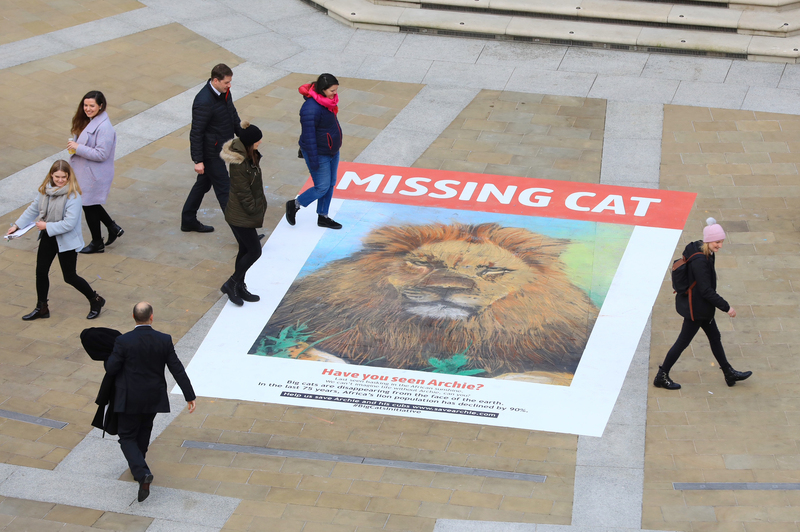 National Geographic has turned the humble missing cat poster into a giant 260 sq ft-sized campaign to highlight the plight of lions, which have disappeared from 90 per cent of their historic range. These huge posters will appear, and then disappear, in several major cities around the UK, urging the public to act before it is too late. The idea and execution was carried out by Tin Man, while renowned street artist Dean Zeus Colman used 100 pieces of chalk, eight cans of spray chalk and more than two litres of paint to create the eye-catching posters. With women’s attendance for smear tests at an all-time low and cervical cancer responsible for nearly 900 deaths per year in Britain, a new campaign was needed to advocate for the procedure. The initiative, which ran on social media under the hashtag #SmearForSmear and in traditional media channels, sought to overcome negative perceptions of the test among women and used celebrity influencers including Rachel Riley and Tamsin Greig, as well as case studies. Jo’s Cervical Cancer Trust launched its ‘Smear for Smear’ campaign to coincide with cervical cancer awareness week and achieved broadcast coverage, as well as a front-page splash in the Daily Mail, reaching millions of women in the process.